First in a two-part BBQ Safari series. 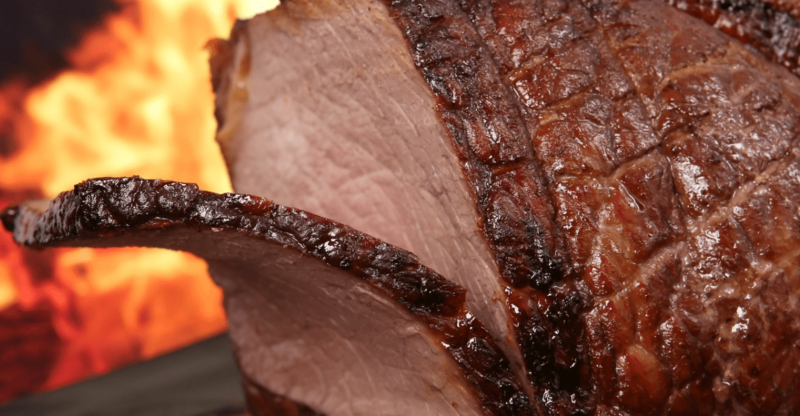 As soon as the sun is up – delicious BBQ smells start wafting from the neighbours garden! Maybe you consider yourself a bit of a BBQ expert or you could be wondering why the neighbours BBQ always smells better than yours – either way, if you’re planning to BBQ this summer, this article is a must-read! This history of the BBQ is a little disputed but as a style of cooking it certainly goes back to our early origins. Whatever the origins the home of the BBQ as we know it today is undoubtedly the USA. Barbecue is simply as red, white and blue as American cuisine gets and they have absolutely nailed it! In the U.S., a proper BBQ is not just simply throwing your meat onto the grill and cooking it. There’s a whole ritual behind all those flavours and the ingredients used in the food is amazing. A lot of dishes are slow cooked for a reaallllllly long time – up to 18 hours!! The slow cooking and smoking of meat is done using either direct or indirect heat from a variety of different woods including; Hickory, Oak, Mesquite or Applewood. The resulting flavours are to die for. They combine the smoke with the juices from the meat, mixed with a combination of spices in the dry rub – into a mouth-watering feast. The BBQ sector in both the UK and Ireland continues to grow as families fall deeper and deeper in love with the ingredients and flavours of the food. What was once a treat on a nice summers day is now becoming an all year-round trend as restaurants and families love to include BBQ flavours in their meals. We never miss a trick when it comes to keeping up with the latest food trends and decided a little trip to the USA was needed to find out what’s hot in the land of the BBQ! Our super excited team boarded the flight for a 7-day round trip to find out more. We managed to get a few hours shut eye before our wheels touched down in our first destination……..
After 40 winks and an inflight movie we landed safe and sound on South East coast of America. Pork BBQ is a culinary staple in North Carolina and too good an opportunity to miss! After checking into the hotel it was time to hit the town…..
Raleigh, the state’s capital, a beautiful and vibrant city with great choice when it comes to eating out. 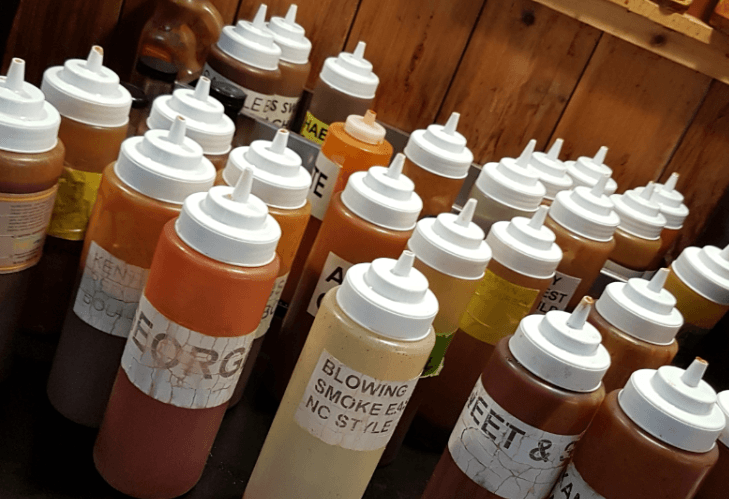 There’s a rich history of BBQ in North Carolina due to the pit method of cookery on plantations, a way of cooking that has hardly changed over the years, though it has evolved to suit the modern palette. North Western Carolina Pork BBQ style has more of a tomato-based sauce influence. Often only the pork shoulder i.e. the darker meat, gets used. This particular flavour and style of BBQ is called the Lexington after the town with the same name. There’s even an annual BBQ Festival in Lexington – so you know these guys are the real deal! Over on the East Side they take a different approach, frequently blending cider vinegar and crushed red chilies in place of sauces. Chefs tend to use to the whole hog. This gives a good mixture of textures and fat levels. Vinegar is used to give a counter balance to the fatty meat but because it is often raw vinegar, it can seem a little harsh to the Irish palette but for those who like strong flavours – it’s delicious. Often BBQ Beans are served as a side dish, which are super-filling and tasty. Some tended to be vinegary rather than sweet which works quite well against the natural sweetness of the tomato and any harshness in the vinegar mellows through the texture of the beans. Carolinians are fiercely proud of their BBQ traditions and it really comes through in the food. The ingredients used in the menus were seriously interesting and often quite different to what we might be used to – with lots of delicious homemade sauces on offer. For example, one restaurant we visited had over 30 varieties available to try with your order. The main wood used for smoking was Hickory with the addition of some sweet woods such as Apple. We enjoyed both the Lexington Style and East Style and we’re sure the Lexington in particular would go down a treat in both the UK and Ireland! Vinegar Based Sauces and Relishes. We jumped back on a plane to visit our next location……. 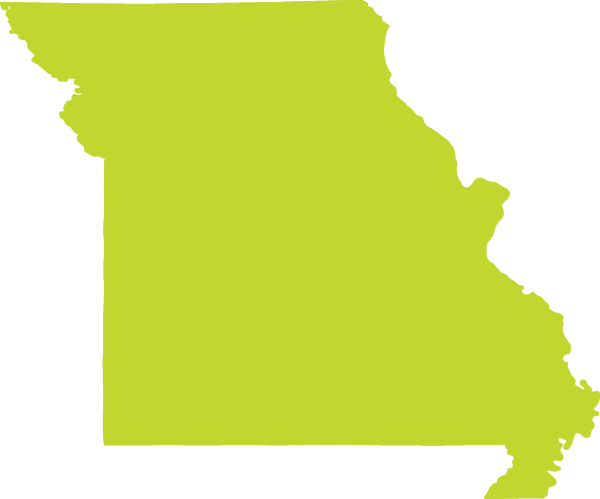 Kansas City – famous for two things: The Wizard of Oz and BBQ’s!! Hailed as the home of BBQ in the US when Henry Perry, the Father of Kansas City Barbecue, started cooking tasty ribs from his food cart in the early 1900’s (or so the legend goes!). He opened his first proper restaurant and quickly became one of the city’s leading restaurateurs. Two brothers, Charlie and Arthur Bryant, worked as chefs for Henry and when he passed away they bought the restaurant and changed the name to Arthur Bryant’s. Now one of the most famous BBQ restaurants in the whole of America – we owed it to ourselves (and our clients!) to drop in for a visit! Burnt End restaurant is considered to be an industry leader in modern US BBQ practices. We immediately noticed a new cut of meat was that wasn’t available in Raleigh – ‘Burnt Ends’. This is the top flap of the brisket which gets sliced off and put back into the smoker for extra bark, smoke and caramelization. Trust us it tastes just as good as it sounds! We also spotted that vinegar was less common in the sauces than in North Carolina. They were serving a delicious Kansas City Style BBQ Sauce, rich natural tomato sweetness but with a warming black pepper & paprika finish. It still had the necessary acidity need to cut through the ingredients and it emphasised the natural sweetness of the meat, particularly with pork. We visited several other locations and got a great feel for some of the hottest food trends in town. Dishes such as smoked, fried and grilled wings doused in a rich smoky sauce, a burnt end topped burger, and even smoking honey were all great options. We were lucky enough to sit with ‘Smokey Schwartz’ an absolute BBQ veteran, in ‘Burnt-Ends BBQ’ – a popular restaurant with the locals. Smokey explained that KC BBQ is all about the woods that are used, how they impart flavour and how each wood or wood combination can be fine-tuned to suit a specific protein. For example, fruit woods such as cherry or pear can bring out delicate sweetness in the more delicate proteins, like chicken. First hand info from a legend! Burnt End BBQ is a must see for BBQ food fans. The ingredients used in the food are fab and we can see how they would be massively popular in the UK and Ireland. Sauces are paired wonderfully with the meat. ‘Burnt Ends’ a consistent menu option. Well if you thought you had the full low-down on BBQ trends at this stage – you’ll be surprised to know there was loads more to discover! Join us soon as we continue on our BBQ Safari…..